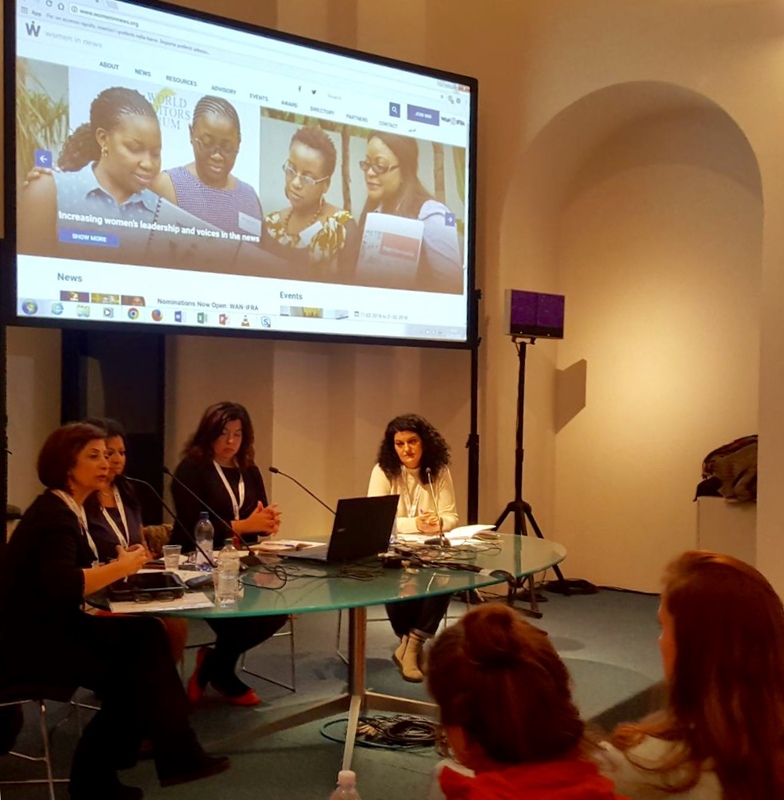 As part of the International Journalism Festival (IJF) in Perugia, Italy, Women In News organised a panel titled “Achieveing gender parity in the media: perspectives and experiences in Africa and the Middle East”. The panel was moderated by WIN MENA Director Fatemah Farag, and featured WIN MENA coordinator Myra Abdallah, WIN Lebanon Coach Dalal Saoud, and alum WINner Lina El Wardani. The panelists discussed the challenges faced by women journalists in both the Middle East and Africa, as well as highlighted key WIN activities and initiatives. "One on one coaching is very important for WIN because it creates a comfortable space over a period of a few months where they can speak of their challenges and fears. There is a lot of built-up frustration that we try to deal with and work through, including in managing your managers, as well as the cultural barriers," said Dalal Saoud. Moreover, WIN alum Lina El Wardani spoke of her experience going through the programme. "After going through the WIN programme, I was very inspired and decided not to be an editor anymore but to start a travel section. It was a moment of realization because society puts pressure on moving forward but not on whether or not you’re happy." WIN had previously organized a similar event at the ARIJ conference in Jordan in November of last year, as well as moderated a webinar on the subject for The Global Forum for Media Development earlier this year.